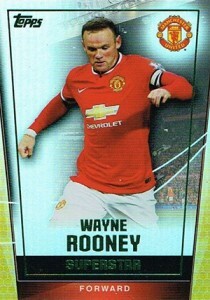 2015 Topps Premier Club Soccer is a largely straightforward and simple release centered on the English Premier League. Distributed by Topps' international arm, the set targets markets outside of North America -- at least in the most direct route. Boxes are big, inserts are simple and the autograph checklist is comprehensive. 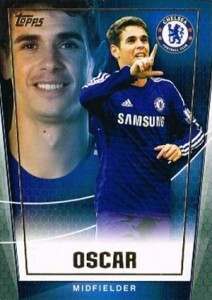 The 2015 Topps Premier Club Soccer base set has 150 cards. All have player vitals, key stats and a write-up. The checklist breaks down to 140 veteran base cards and a ten-card Future Stars subset. The set rounds out with 50 Rainbow Foil cards. These are done in three types. 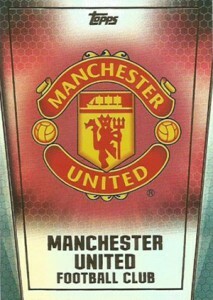 Superstars (20 cards) includes a top player from each club. 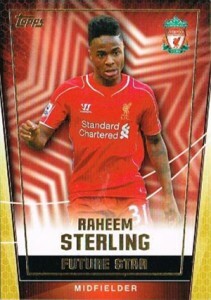 International Stars (ten cards) highlights superstars from around the world. 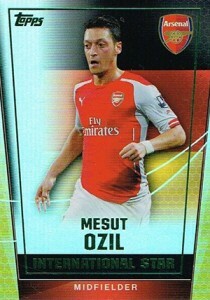 Finally, 20 Club cards give details and stats for each EPL team. These also have Emerald Green parallels that are inserted 1:10 packs. Autographs are inserted one per 50-pack box. 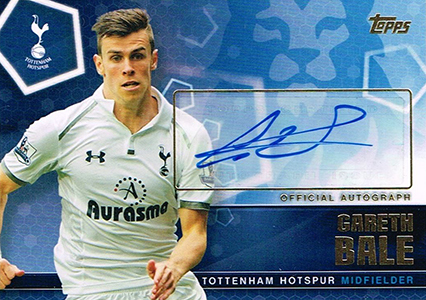 More than 40 players have signed for the set including Cristiano Ronaldo, Gareth Bale and Mesut Ozil. Autographs are all serial numbered, although to varying amounts. They range from a high of 130 copies down to less than ten. All cards in 2015 Topps Premier Club Soccer have Printing Plates that combine to land about 1:3 boxes. Plates for autograph cards are not signed. 20 cards. Inserted 1:2.8 packs. 10 cards. Inserted 1:5.6 packs. 43 cards. Inserted 1:50 packs. Hopefully this is no more than a $65 box. Cristiano Ronaldo autograph card is numbered to 7, his shirt number. Others not recorded in the checklist are rare because they too are numbered to shirt numbers. I think it’s price way too high for the number of hits you get, i’m not really interested in chasing these inserts. Ryan, can you give us some investigative journalism on a release, I.e are autos on card signed, how many cases released, memorabilia card material is it replica or match worn, etc…Interesting information that tells us collectors about a release beyond the publishers advertising and the few joining words that you have added. Paul � These profiles are here to be primarily a resource. 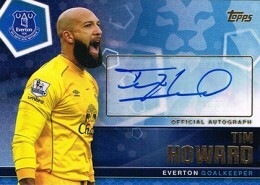 We have two images posted that show autographs are on stickers. There are no memorabilia cards here. The checklist breaks down exactly what’s in there and most of the released quantities.